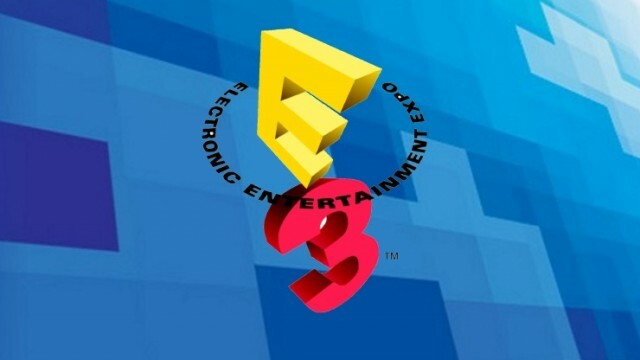 It is that time of year again when tonnes of upcoming video games are announced at the big E3 video game event in America. Previously I have covered 2009, 2012, 2014, and 2015 so am pretty locked in for this year. Thankfully there were quite a few horror and post apocalyptic games shown off and announced. Personally the only bit of E3 I actually watched was Sony's press conference which was quite entertaining. So starting off with pure post apocalypse as opposed to horror we have Horizon: Zero Dawn from Guerrilla Games. This is an action RPG that sees you play as a girl in a world over run with robotic wild life. Humans have reverted back to tribes and must destroy these giant robot animals in order to scavenge electronics. A game play demo was shown at Sony's conference, it looks like it could be ok but didn't really get me excited. Nier: Automata is the sequel to the excellent Nier and is being developed by Platinum Games. This is another post-apocalypse action RPG but looks set to continue the darkness of the first game, dealing as it does with a war between the remnants of humanity and a machine army from another world. Also shown was the next expansion to Destiny in the form of Rise of Iron which is going to have story missions, PvP maps, new weapons and a new social space. I don't know if it is to be a huge expansion or something smaller, but it concerns itself with the Fallen who have managed to breach the wall of the last surviving city on Earth, and are armed with a deadly nano virus. This expansion is due for release in September. Onto dystopian futures and worlds now with Deus Ex: Mankind Divided which is the sequel to Deus Ex: Human Revolution. I liked that game a lot but it had its flaws, so hope this builds on that. Set in the near future the game is going to look at the divide between humans and augmented humans. Detroit: Become Human had a very interesting trailer, set in a future where androids exist among humans. It is made by David Cage (Heavy Rain, Beyond: Two Souls) so will reserve judgement until it comes out to see if it fails where those adventure game failed. We Happy Few is a game that really stands out to me. Made by Compulsion Games it has been described as a psychological thriller survival game. You play as a man trying to escape from a creepy town where everyone but you is controlled by a personality changing pill named Joy that makes the user permanently happy and delusioned. The game is procedurally generated meaning no two playthroughs should be the same. Death Stranding is the first game by Kojima Productions, there was only a weird trailer shown off that had Norman Reedus on a beach surrounded by dead animals and figures floating in the sky. It is good that Kojima and Reedus are still working together after the cancellation of Silent Hills but no idea if this is even going to be horror based, still seems very interesting though. Last one I will mention is Inside, made by the people behind Limbo and seems to share a similar bleak looking platform vibe to it. Now onto more fantasy based yarns we have the next in the God of War series that excitingly ditches the Greek myths in favour of Norse ones. You still play as Kratos, but one who has had personality implanted and who fights Norse monsters rather than the increasingly dull Greek ones. The demo was fun to watch. Necropolis is an action RPG that sees you as a mage traversing a labyrinth in the netherworld, I haven't seen much of that. Vampyr is yet another third person action RPG (so many of those at E3 this year), this one is set in London and has you playing as a vampire. Off to space and sci-fi lands now with Mass Effect: Andromeda due out in 2017. It takes place in the Universe of Mass Effect with a group of soldiers off exploring the galaxy for a new home for humans. Apparently it is going to be all open world rather than smaller levels, so a new direction for the series. Space Hulk: Deathwing is based on the Warhammer 40,000 board game, it is a first person shooter that has you as a Space Marine shooting lots and lots of aliens on space ships (most likely). I really enjoyed Prey, it was one of the first X-Box 360 game I played, then Prey 2 was announced and cancelled and now another sequel has surfaced, one that seems to combine the horror of Dead Space with Ground Hog Day, the trailer was great. It seems you will be shooting aliens in a deserted creepy space station of some kind in the much loved first person perspective. Lastly Gears of War 4 was shown off, it sure looks pretty but I have only played the first two (despite owning all of them so far) so am not too excited by this. So now for the horror games of which a fair number are zombie based. Corpse Party has been re-made for the Nintendo 3DS (titled Corpse Party: Blood Covered...Repeated Fear) but I only recently played the original so could not care less for this. A surprise announcement (for me at least) was Resident Evil 7, looks great, I blogged about this the other day so read there for more details. Later this year comes The Walking Dead: Season 3 adventure game, again you play as Clementine but with her older. I loved the first season, the second was good if a bit dark, so I guess this could be good, I am a little sick of the formula though. State of Decay 2 was shown for X-Box One and PC, this is a zombie survival game set in an open world. I own State of Decay but to my shame have never played it, must remedy that. Dead Rising 4 was also shown, I loved Dead Rising 3 but only played a few hours, another one I need to go back to as it was a load of fun. This fourth instalment takes place during Christmas in Willamette (where the first game took place). Friday 13th was shown off apparently (Wikipedia fails to mention this), I watched a gameplay video, it seems you spend half the game as Jason following the voice of your Mom, stalking and killing teens in a Manhunt style, and the other half as the teens trying to escape the masked killer. I don't know if it is split into missions where you are one side or the other but looks fun if a little shallow (just like the films). Lastly is Days Gone in which you play as a generic biker dude in the American countryside who constantly gets attacked by a World War Z type of rolling zombie horde. This looked pretty crazy and manic so was a nice surprise to see. So there you have it, a large chunk of the horror games shown at this years E3, sure there are many I have not covered, but these are the main ones as far as I'm aware. A good time for video games in general ,especially with VR on the rise which I really hope wont just be a passing fad.